Why is Alabama trucking compliance so important? Because failure to comply can lead to lost productivity, costly fines, and untold risk to your company and its future. That’s why Alabama trucking companies need to be familiar with and aware of all Department of Transportation and Federal Motor Carrier Safety Administration rules and regulations. But keeping up with compliance can sometimes feel overwhelming. That’s why it’s helpful to find quality trucking compliance consultation services in Alabama. At US Compliance Services, we provide the trucking compliance assistance in Alabama that your company needs. We help you avoid costly fines and manage possible risk, all while boosting your team’s productivity. When you need quality trucking compliance consultation in Alabama, choose US Compliance Services. Compliance is often the last thing on your mind when you’re a trucking company owner or supervisor. You’re more concerned with maximizing efficiency while gaining a competitive advantage by staying on top of industry innovations and trends. But compliance remains important and essential — and our compliance services in Alabama can help you take care of this responsibility and burden without spending undue time and attention on it. DOT Consulting Services: We all want to keep cargo safe while minimizing accidents and reducing environmental incidents. 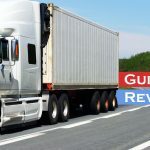 The Department of Transportation’s rules and regulations are designed to promote these objectives, but keeping up with them can be challenging. Our compliance services help ensure that your fleet stays aligned with rules and regulations while maintaining a high level of productivity. FMCSA Services: Make sure you’re ready for the roadside inspection, compliance reviews and safety audits mandated by the Federal Motor Carrier Safety Administration when you choose US Compliance Services for trucking compliance assistance in Alabama. We can be your resource for all of this, as well as for the filing of MCS-90 forms. 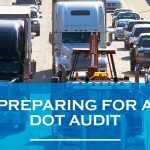 DOT Driver File Management: The Department of Transportation wants to know that your drivers are qualified to do their jobs, which is why our Alabama trucking compliance services include the coordination and management of driver registrations, medical exams, work histories, and more. IFTA Assistance: There are few things more confusing in the trucking industry than International Fuel Tax Agreement guidelines. When you work with us for trucking compliance services in Alabama, we help you navigate a complex process and we ensure your forms are filed correctly and within deadlines. ELD & ELOG Compliance: eLogs are another challenging aspect of owning or operating a trucking business. Our trucking compliance services in Alabama include the management of eLogs in a way that ensures accuracy. Spend less time and energy on compliance and focus on what matters most to your business. When you choose US Compliance Services for compliance consultation in Alabama, you enjoy far greater accuracy with compliance filings and an honest, transparent process you can trust. When you’re ready, US Compliance Services is here to help. Get in touch for a free consultation when you need trucking compliance consultation in Alabama.